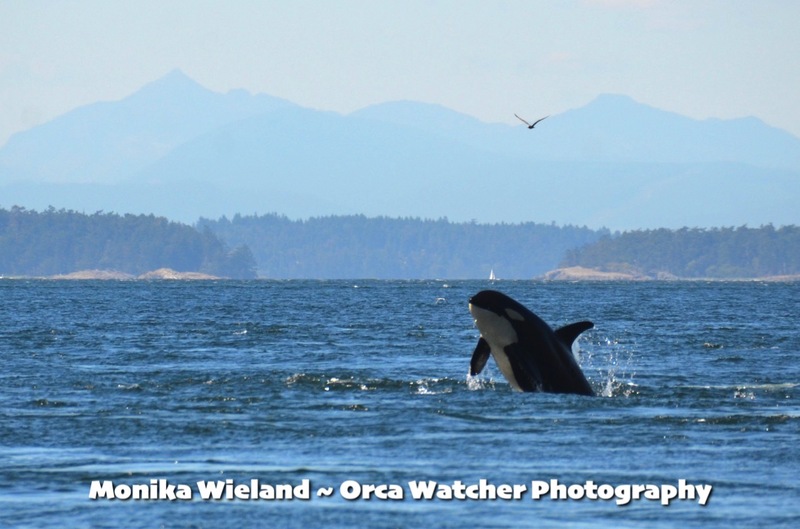 Orca Watcher: July 22 - August 14: Playing Catch Up on Whale Sigthings! July 22 - August 14: Playing Catch Up on Whale Sigthings! Over the last couple weeks I've had a lot of distant and/or brief whale encounters, many of which didn't seem worthy of their own blog post during the height of summer when I'm busy with so many other things as well! 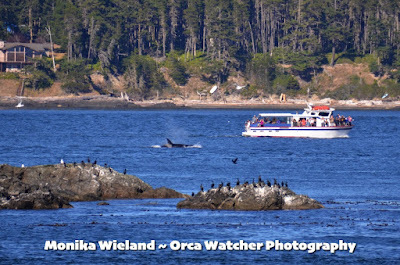 But now I've gotten so behind on sharing whale sightings that I have plenty of photos to share all in one go. 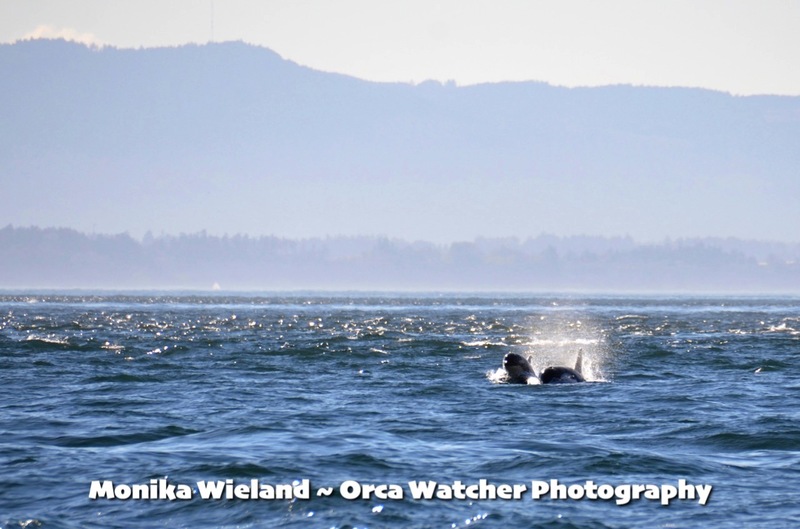 On July 22nd, the two halves of J-Pod met up in rough seas right off Lime Kiln. 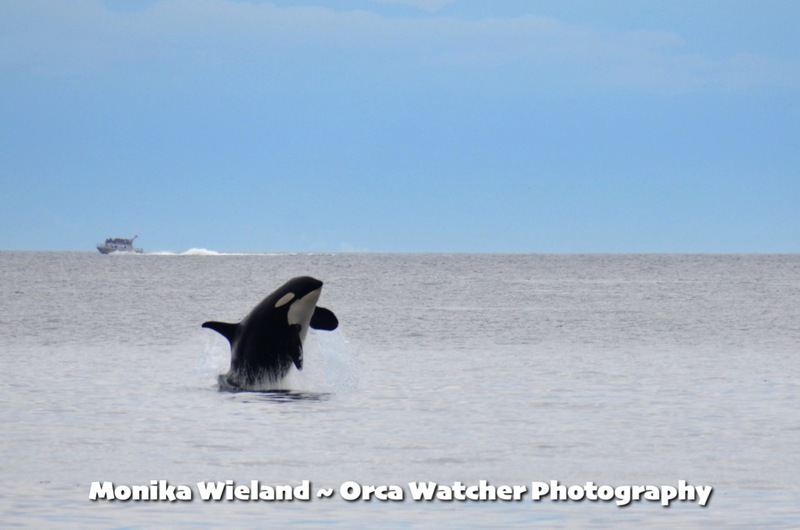 Most of the whales were pretty far offshore, but we got a surprise pass by J41 Eclipse and her son J51 Nova. 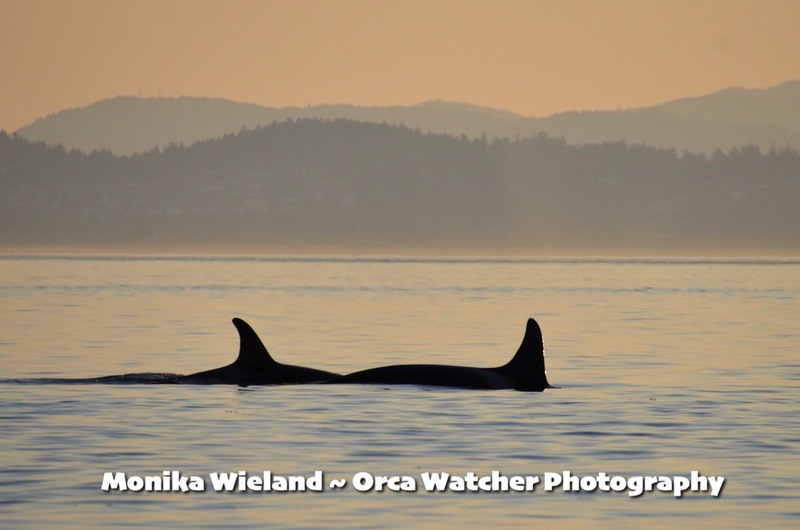 On August 3rd, all of J-Pod along with the L4s, L47s, and L26s made their way up Haro Strait in the evening. 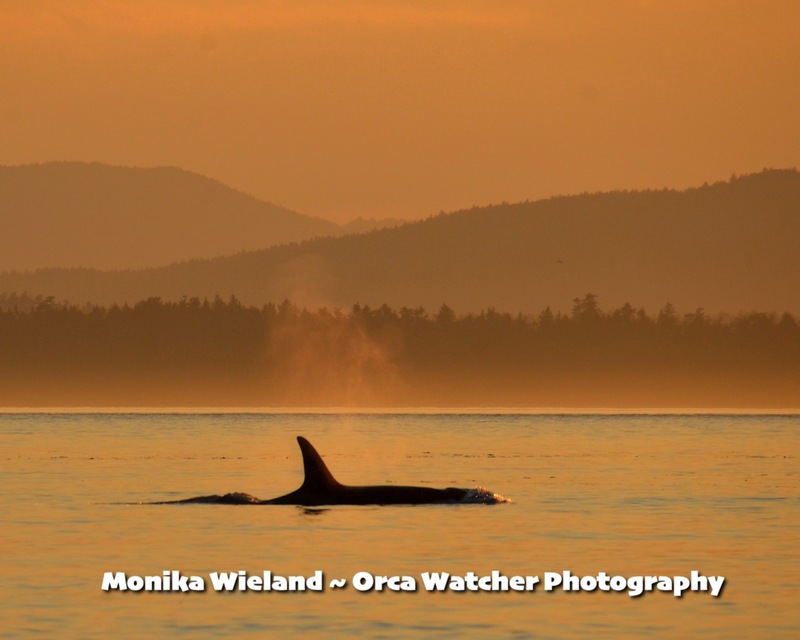 I still say nothing beats sunset whales! On August 5th, the same group came back down Haro Strait, spread all the way across. 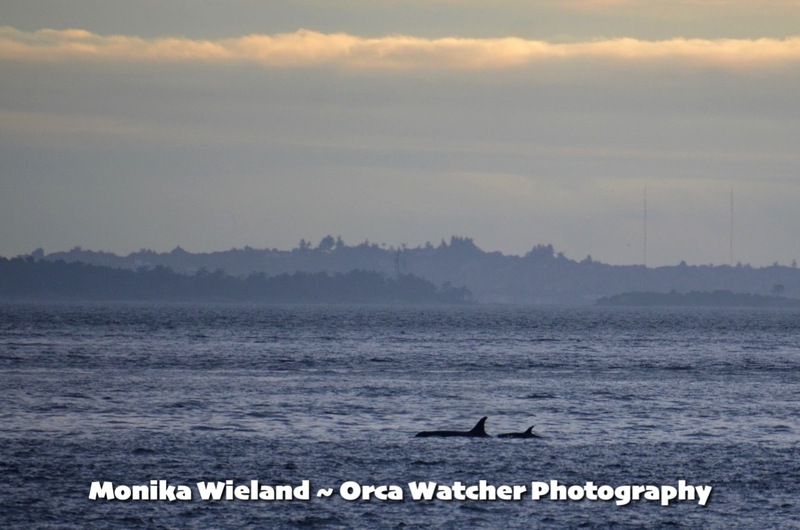 Only a few were close enough to see from Lime Kiln on another day with wild seas. Those babies gotta get up extra high to breathe when the seas are choppy! 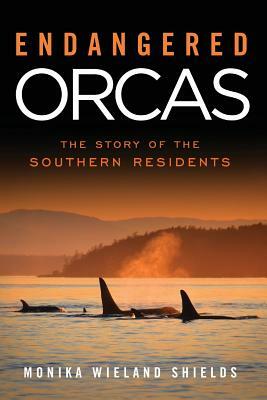 IDs were especially difficult because of the backlighting, and the fact that the whales were "all mixed up" from our human perspective. For instance, I saw J31 Tsuchi traveling with L83 Moonlight! On August 8th, K-Pod returned after an unheard of nearly two month absence in the middle of summer! 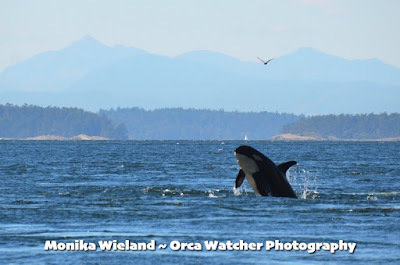 I just missed seeing them on August 9th as they passed with J-Pod, but did catch this awesome breach by J16 Slick. 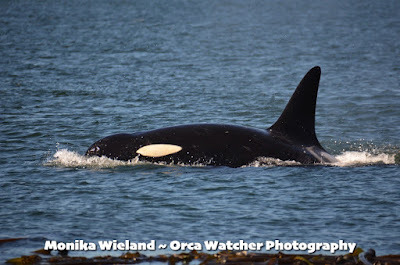 The "just missed" streak continued in the evening as I only caught the tail end of another pass, but got to see J17 Princess Angeline and her calf J53, who will also be named this month. 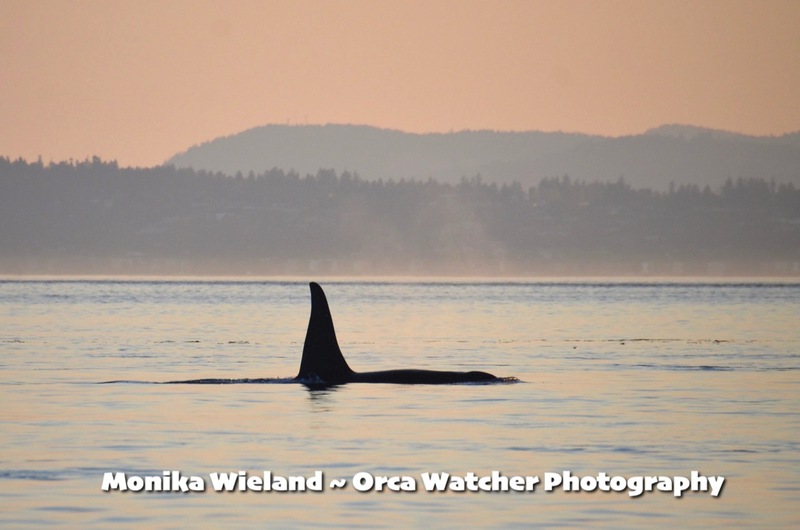 On August 11th, trying to increase my odds, I got up extra early to head out to the west side in hope of whales. 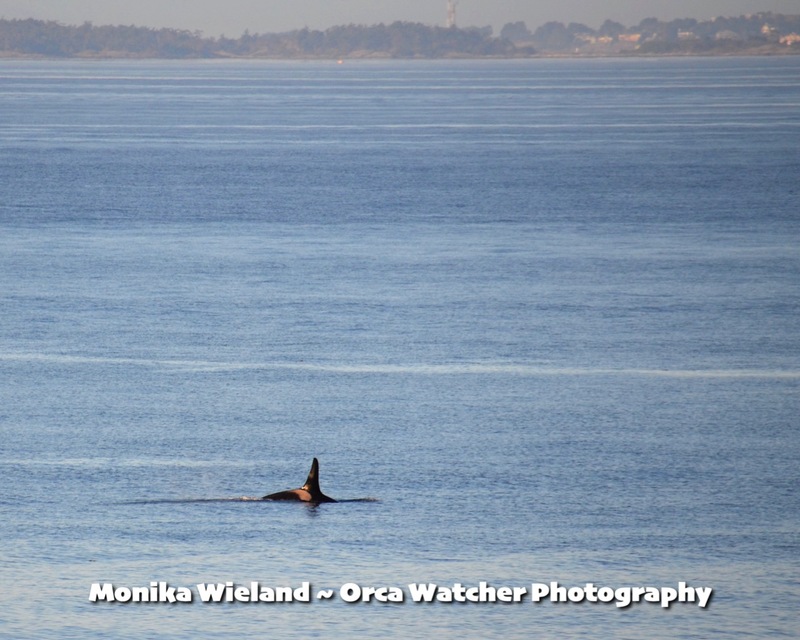 My gamble paid off as I spotted J34 Doublestuf in the early morning light, foraging off of Land Bank. 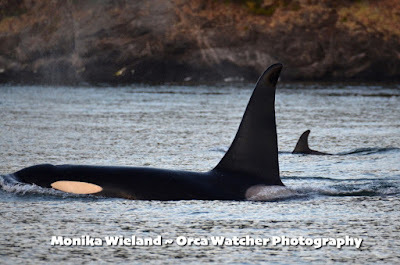 Surprisingly, only he, his mom J22 Oreo, and brother J38 Cookie were there. 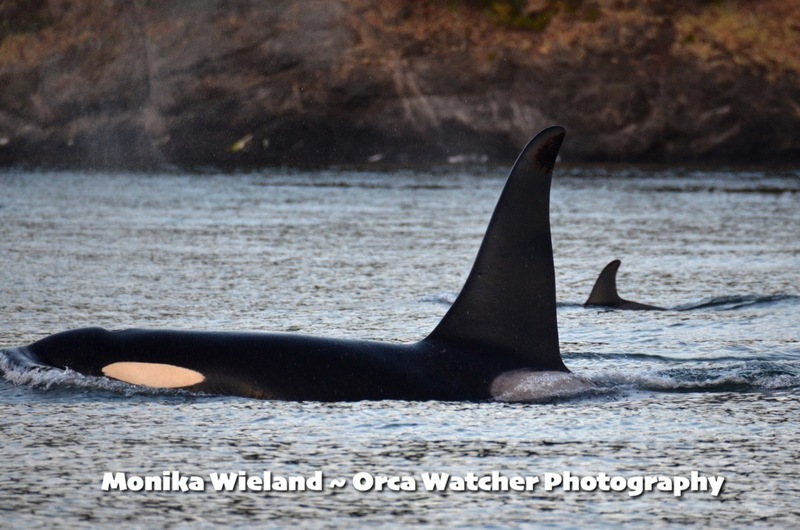 The rest of Js and part of K-Pod went north during the night without them! While for that day it looked eerily similar to when we had the three L22s on their own on the west side for a time during the summer of 2013, the J22s reunited with the rest of their pod by the end of the day. 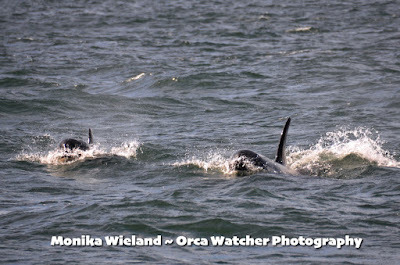 On August 12th I finally caught up with the K12s and K13s, whales I hadn't really gotten a good look at yet this year. (In reality, I just missed them again at Lime Kiln, so we jumped out on our boat - enough misses!) 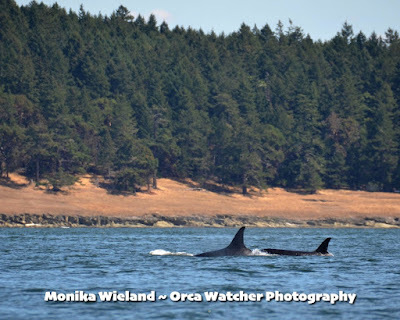 We followed the K12s up to Boundary Pass - the K13s were a bit ahead, so I still didn't get a look at them. 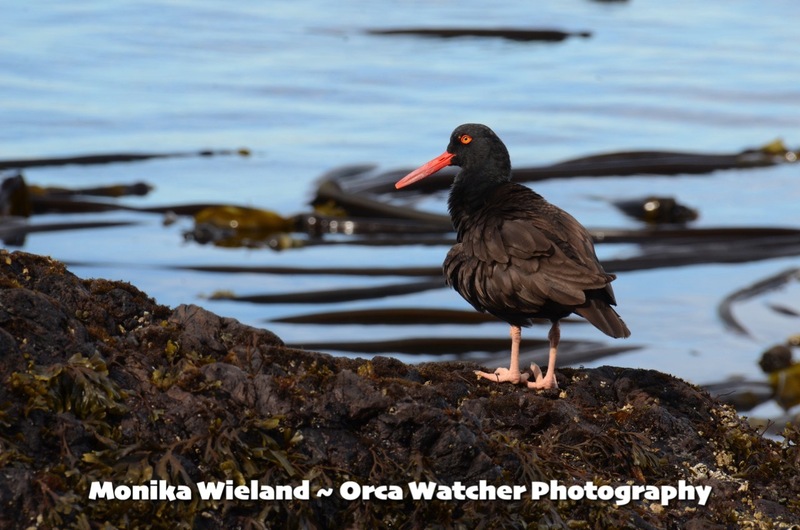 While on the water with the K12s and K13s, we got word from another boater that ALL the other Southern Residents were inbound from the Strait of Juan de Fuca! Could we possibly be in for our first superpod of the year? Anticipating a yes, we got up early again the next morning, on August 13th spent four hours at Lime Kiln before we heard the K12s and K13s were staying up north and everyone else who had just come in the night before after dark was westbound again. 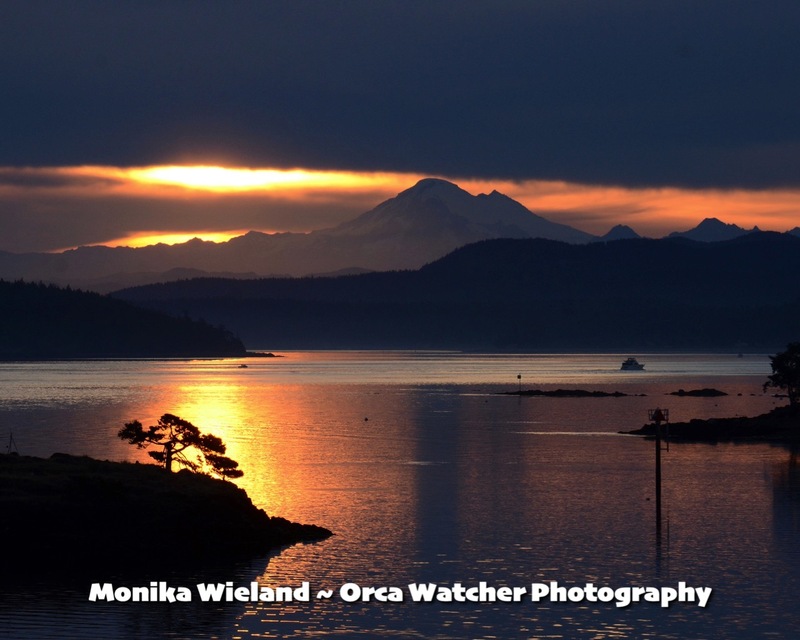 Still, those early summer mornings are pretty darn spectacular with or without whales. That afternoon, we heard the T65As were heading down San Juan Channel, hugging the San Juan shoreline. We went out to the Friday Harbor Labs in hopes of seeing them. 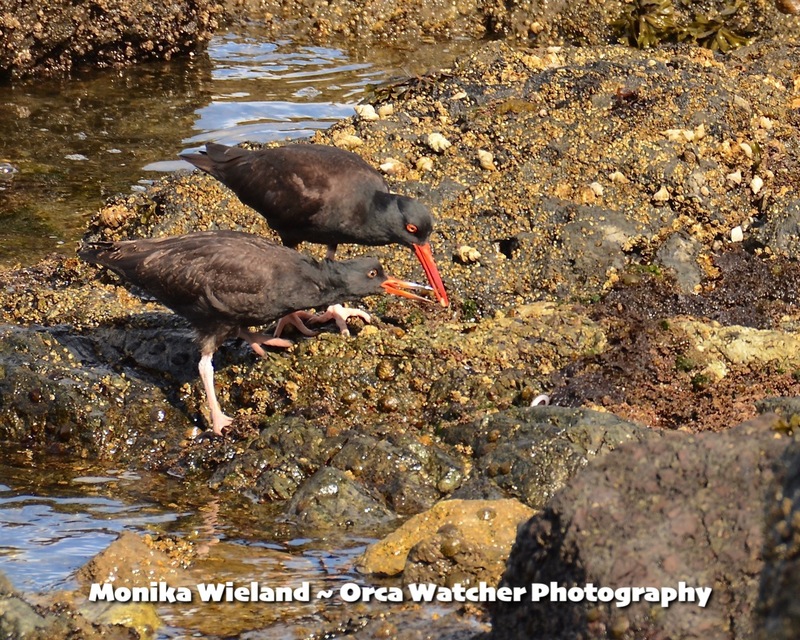 As they approached, they were indeed right off the rocks. 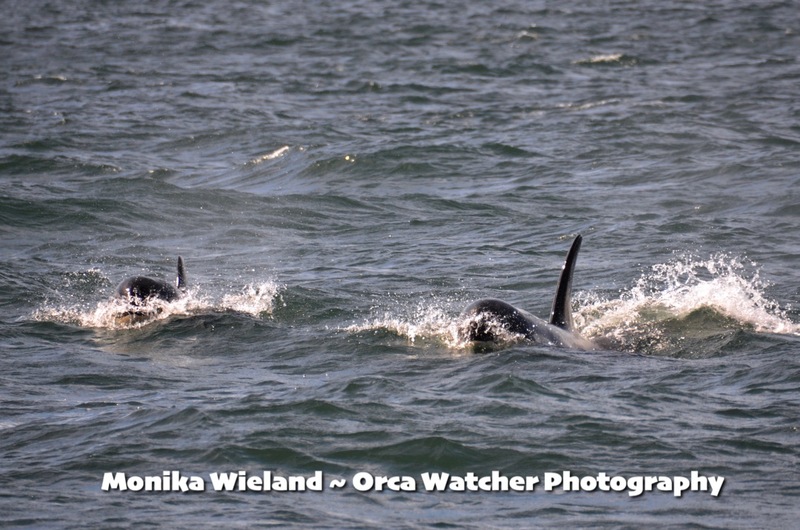 Unfortunately right after I took this photo, they went on a long dive and next surfaced around the corner past us to the south! It was such a hot summer Saturday, that hanging out by the water continued to sound pretty good. We watched the Ts as they progressed down the channel into Griffin Bay, and then caught them as the exited Cattle Pass. The next day, August 14th, the K12s and K13s did the westside shuffle. 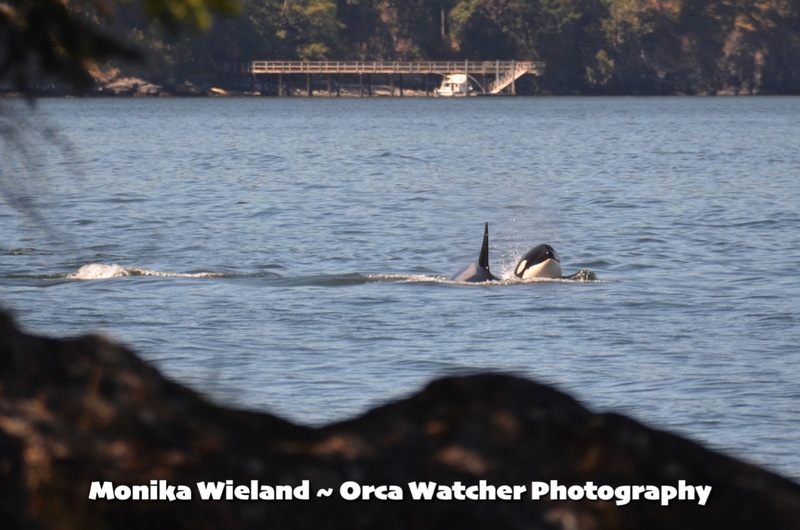 We got to Lime Kiln just as they were passing heading north, but could barely see them! 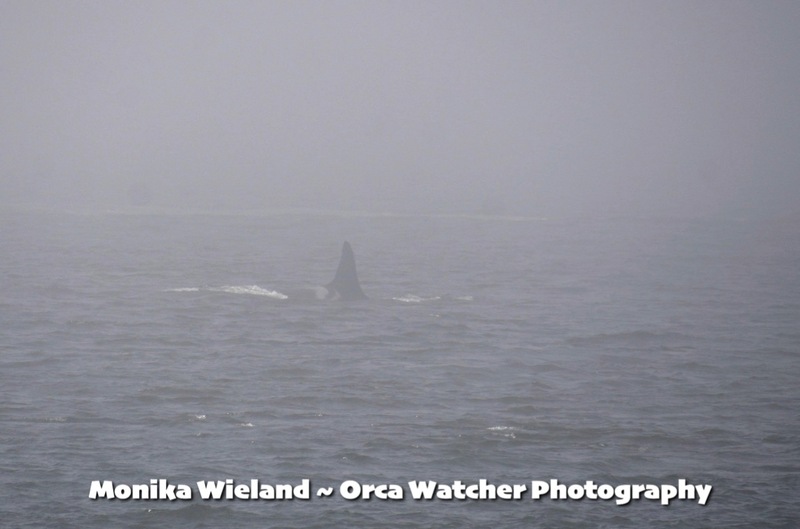 I got my first look at K20 Spock on the viewfinder of my camera, where I could see her better than with my naked eye through the fog! 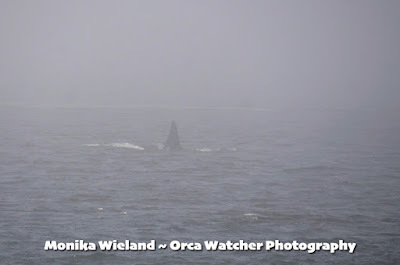 Luckily, the fog lifted before the whales came back south, and I got a proper good look at K20 as she came right near the kelp! 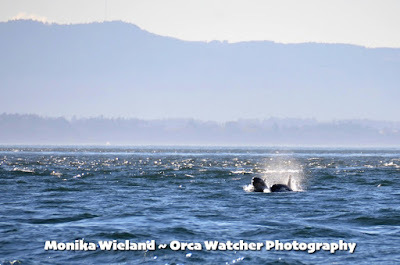 The whales were fighting a strong flood tide to head south, but seemed to be enjoying the currents, doing lots of breaches and tail slaps as they rolled at the surface. 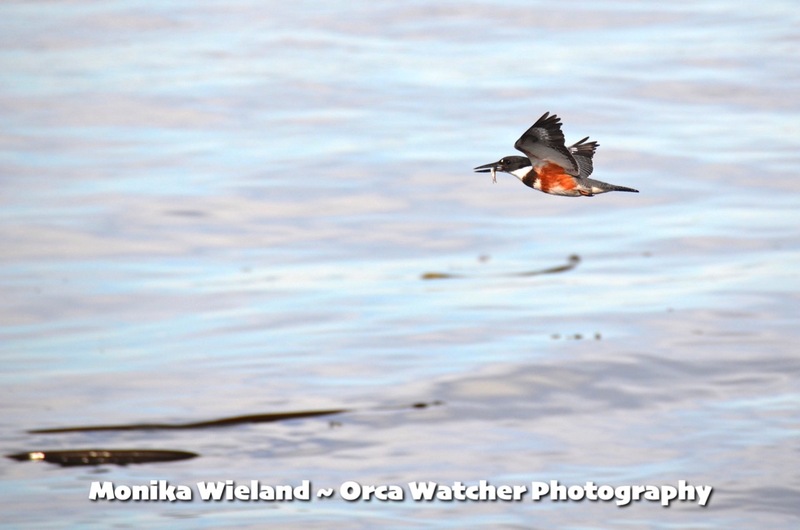 Today, after having just the K12s and K13s in inland waters for several days, some other Js and Ks made their way back east. 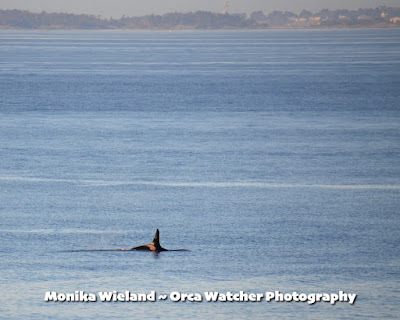 Bizarrely, the K12s and K13s went north without waiting to meet up with them, and then this evening just four whales (including J2 Granny) went north without any others, who were still south and milling off False Bay. Every day continues to be different in terms of which whales are where and with whom, so who knows what tomorrow and the coming weeks will bring!